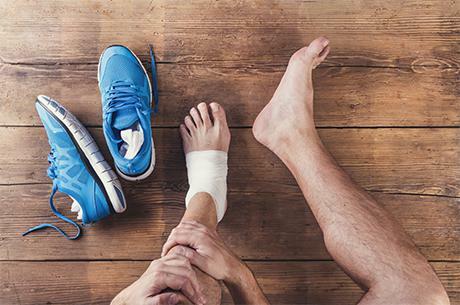 A Soft tissue injury is the damage of muscles, ligaments or tendons throughout the body. Some common examples include knee and ankle sprain, rotator cuff tendonitis, hip bursitis. Swelling, bruising, loss of function, and pain usually accompany soft tissue injuries. You may also have redness, loss of motion, and tenderness. 1st degree - a microtearing of a ligament or tendon. 2nd degree - a partial tearing of a ligament or tendon, which can cause minimal instability. 3rd degree - a full tear of the ligament or tendon, which can cause severe instability, and may need surgery or immobilization. Contusion - a bruise where blood vessels are damaged by trauma and blood seeps into the region. Tendinitis - inflammation of a tendon. Common tendonitis includes Rotator cuff, Achilles, and Patellar. Bursitis - inflammation of a bursa, a small sac that eases friction between tendon and bone. Common areas of bursitis occur in elbows, knees,shoulders and hips. It is also very important to learn the proper body mechanics for an exercise or sport. The risk of injury increases when practicing with poor form.